You might remember my FAL list which was as long as my arm and maybe even a little longer. Fifteen projects were on there and today I’ve been able to cross off number five. 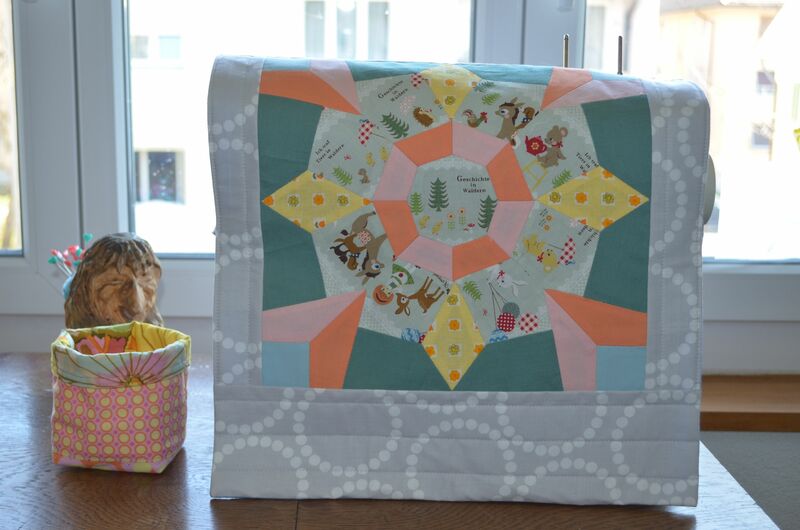 This EPP block has been mooching about for quite a while. Once I finished it (btw, the templates are here if you’re interested In The Woods) Little Miss Bossy-Boots wanted me to make it into a quilt for her dolls while I wanted to use it as a pocket on a tote. In the end it landed in my enormous pile of WIPs. 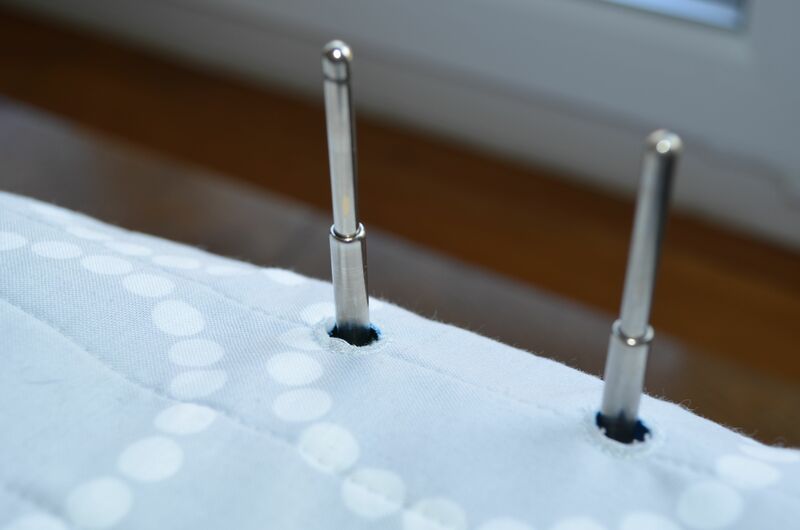 Thanks to the FAL list, I knew I had to make something with it and when I saw how well it went with my little thread catcher I decided to turn it into a sewing machine cover. I added some Pearl Bracelets around the block and for the back, lined it with a bright blue solid from Ikea and sewed on some ties for the sides. Some very basic straight line quilting made sure that everything stayed where it was supposed to. I encountered one little problem which are my thread holder thingies (I’m sure there must be a technical term for them but I can’t remember…). The hard cover that came with the machine pushes them down but as soon as you take it off, they spring up. The fabric cover isn’t heavy enough to push them down so I drew two circles on the cover and sewed around them four times. I’m really pleased that I’ve finally made a sewing machine cover and have been able to use an orphan block for it.